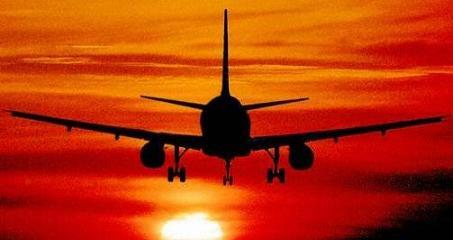 Check for regular updates and surf for the cheapest and fairest airfares or airlines' mandated travel system constantly on net. Choose from the options/ deals you consider the best and reliable. Sign up for frequent traveller programs, signing-up in advance makes your travel experience a little less miserable and also you can get some really good deals. If you do not have an airport club membership, use frequent traveller forums to find the best offers. Avoid liquid items such as shampoos and body wash in your carry-on luggage, because at some places these are not allowed considering security threats. If you must carry some liquids, keep them in a transparent plastic bag at a place where you can easily take them out. While waiting in the security check line, observe your co-passengers carefully and listen to the instructions given by security staff. Ensure that you follow the instructions. Several airports require you to remove jackets, belts, watch, shoes before you go through the scanner. At some places, you are required to leave water bottles, other bottles full of liquid behind. You may also be asked to remove electronic items from your bags and place them separately. Fold or keep your clothes in such a way that they cover minimum space. Pack your skinniest shoes and wear the fattest one. Things should come handy while you open your baggage. Pack your electronics in a single layer and do your own bag check before you leave. Try to keep your luggage as light as possible because after a definite weight airlines start putting charges on each extra kilogram. Instead of heavy baggage, carry a side purse or small bag where you can keep things which are generally required on urgent basis like your laptop, tissues, moisturiser and sanitizer etc. Avoid taking homemade products which have bacteria content in it such as curd, spices, pickles because in many countries/ places these are prohibited. So maybe you have to throw your mom’s blessings into the dustbin if the rules don’t permit food items. If you are travelling with senior citizens or kids, make sure of availing proper pre-boarding procedure. Always listen to announcements constantly made by the airport authorities, this will help you in directions and carrying out the procedures in a smoother way. If you are particular about the seat and its location, specify your seat preference while booking the tickets. Specify your meal preferences before travel, especially if you have meal restrictions such as strictly vegetarian. Get your travel agent to do these for you if you are not sure.